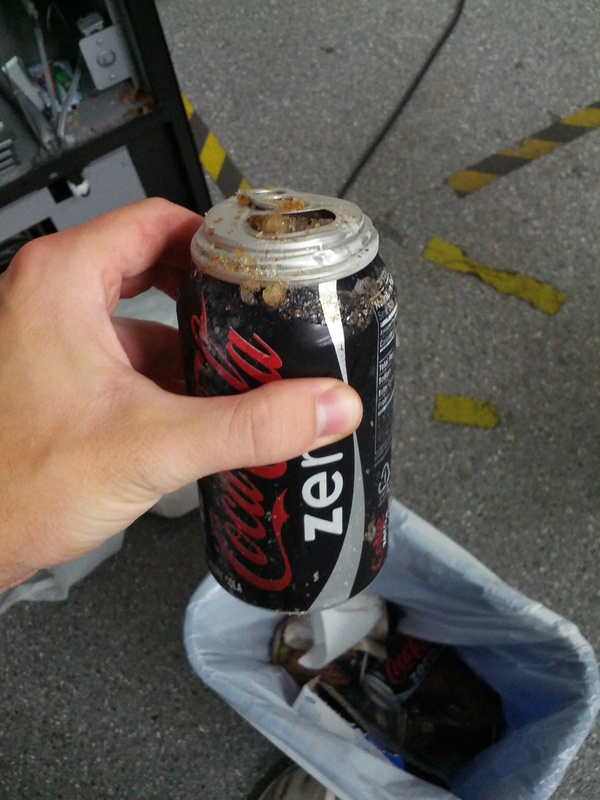 Just got a coke from the vending machine, and it was a slushy. “Boiled over” after I opened it. 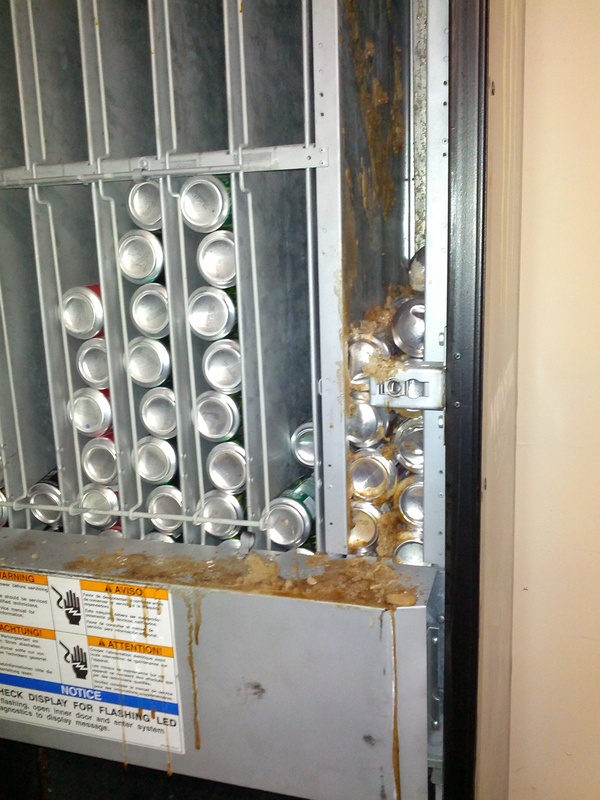 :/ There’s also soda muck on the bottom of the delivery tray, so I think someone else may have gotten a burst can. 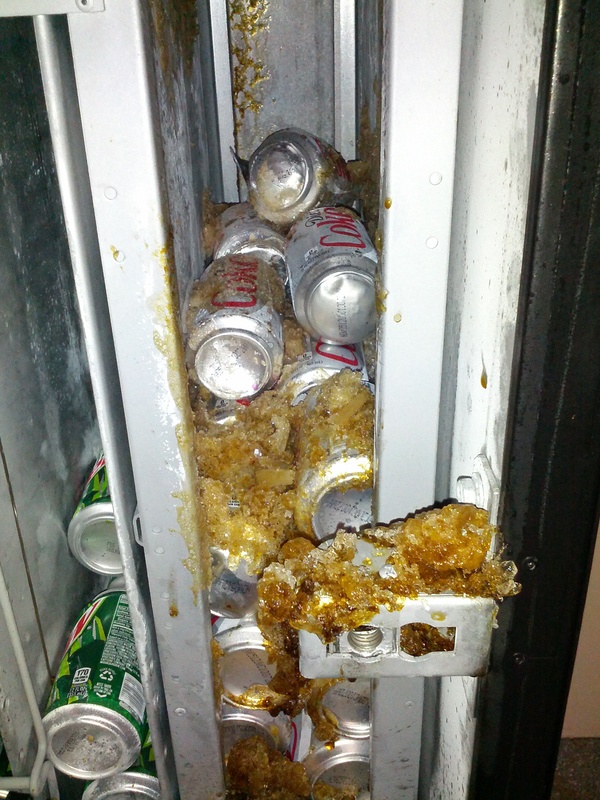 Turns out that the refrigeration in the pop machine doesn’t really have a thermostat. It just has a power a setting. 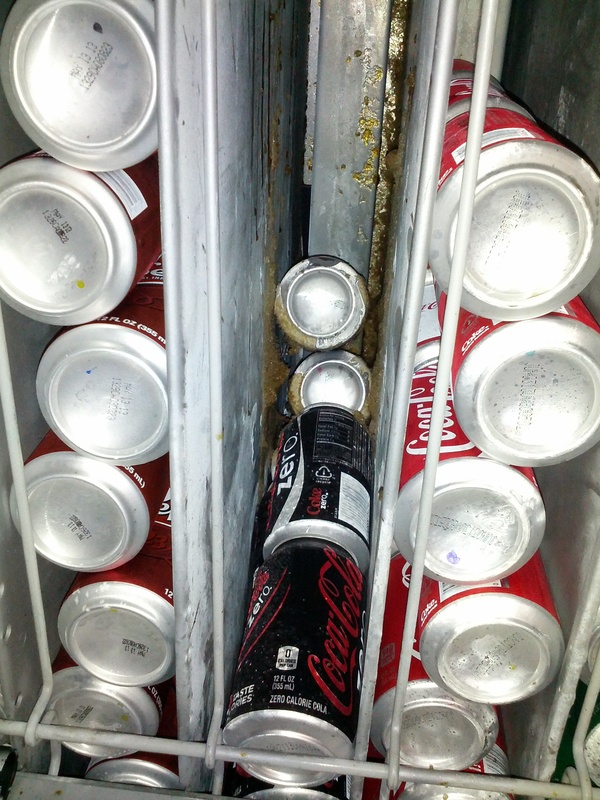 With the recent drop in temperature outside plus the fact that our pop machine was only a third full, this provided a situation where the cans managed to freeze and the explode slushy everywhere. 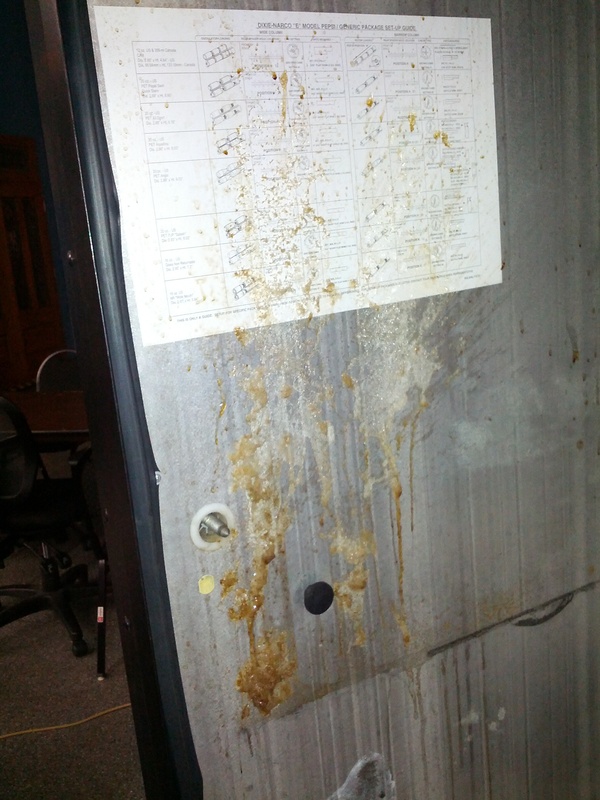 It actually wasn’t too bad to clean up. It was just more of a panic to figure out where the mop was and figure out how to remove all the pop from the ice and slushy. Unfortunately it means it will take me longer to restock the vending machine this Saturday. Currently we’re letting the machine defrost to allow all the slushy to unstick from the places I couldn’t see to wipe down. Thank goodness Brian Klug was around to help me find the cleaning supplies.